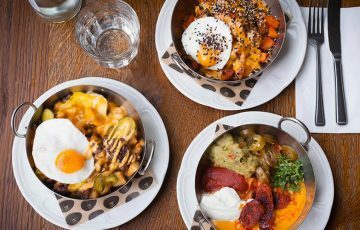 Gastropubs – one of the few dining modes to to survive the ‘90s, and beyond – have across the country never been in finer fettle. These in London are great examples as to why. A Fulham pub which has been on the circuit, under the directorship of The Ledbury’s Brett Graham, for a while now. Still, by many accounts, leading the charge on the battle for good pub grub. 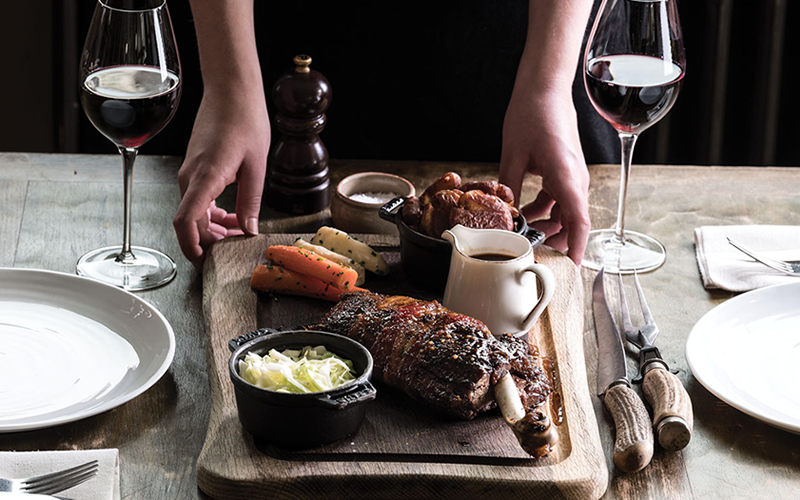 Provenance is a priority here – you can trace the honey back to Richmond Park, the beef to Hereford, the veal to Cumbria, and the wine to Kent. If nothing else, go for a pint and one of their famous Scotch eggs. UK Wine Pub Of The Year, Top 50 Gastropubs’ no. 25, and Great British Pub of the Year, Highgate’s Red Lion & Sun must be doing something right. 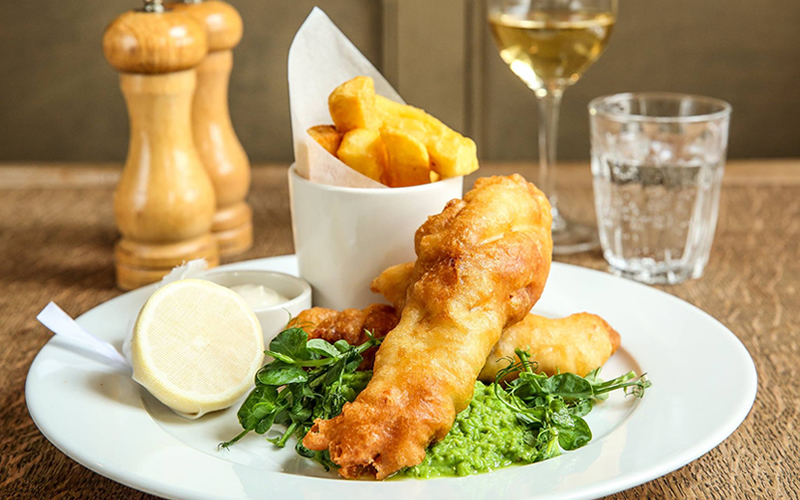 Maybe it’s the Sunday roasts, or the takeaway fish ‘n’ chips (good enough to rival most chippies), or maybe it’s the lively bar area with its almost country pub feel (dogs are more than welcome). Islington’s favourite pub for years and years, the Draper’s Arms is a household name up in N1. The food props up its reputation still. The suet pie of the moment – which has taken on various guises, from chicken and tarragon to beef and mushroom – is always a winner. 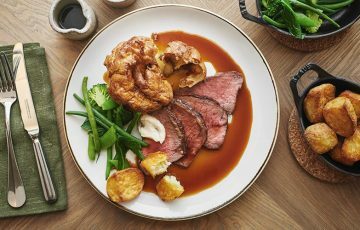 At over a quarter of a century young, The Eagle is the grizzled old bird of gastropubs, and one of the very first ever to be doing cool, contemporary dining in a public house. Judging by how rammed it is almost every night of the week even now, there’ll be no surprise if it lives to a hundred. Pubs rarely come as elegant as this, with linen tablecloths, gilded mirrors, and a general late Georgian attitude to furnishings. But then, this is Belgravia after all. Food at the bar is, tellingly, actually rather relaxed, with beer-battered haddock, dry-aged beef burgers, and the like. Any previous meals of the day are often best skipped if it means making way for pud – the kitchen runs out five of them: tarts, cakes and cheesecakes, each as appealing as the other. Try the lemon and white chocolate cheesecake with raspberry sorbet. 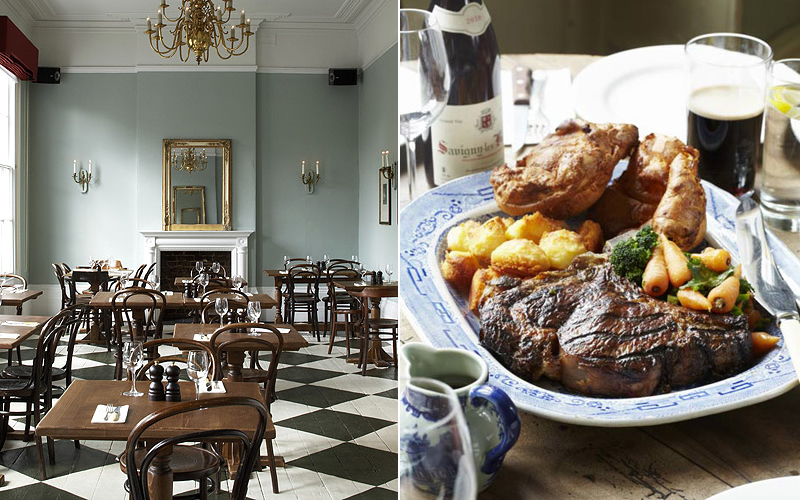 Modern, modest British fare served in what used to be a Victorian pub. Some say there is no better lunch in the city than one that involves the Marksman’s beef and fresh horseradish barley buns. But pop down on a Sunday afternoon, and in their roast you might find that, actually, there is. 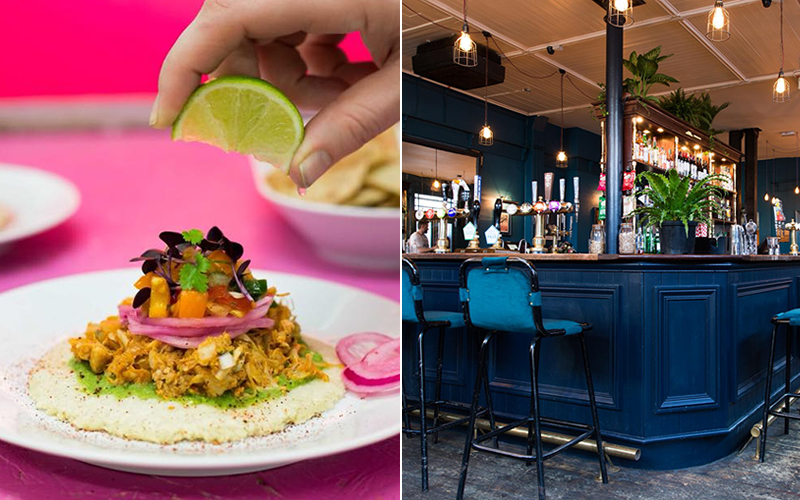 In case you hadn’t heard, The Spread Eagle in Homerton is laying claim to London’s ‘first vegan pub’ title. As jackfruit and ‘to-fish’ taco peddlers Club Mexicana proved on the street, their food is more than enough to win over those with plant-based phobias. Yes, the slow demise of the traditional boozer – 18 a week the current rate – is sorry news. 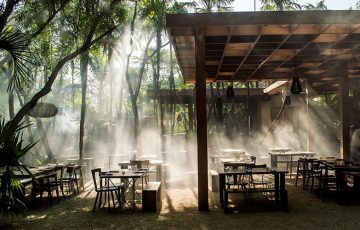 But when a tried and tested chef comes along with the right ideas to reinvent a previously not-so-great establishment, it may be a good thing after all. Making his comeback after a 3-year hiatus from regular cheffing, Henry Harris opened The Coach, where the best of British and French cooking is brought together under one roof and over one beer cellar. 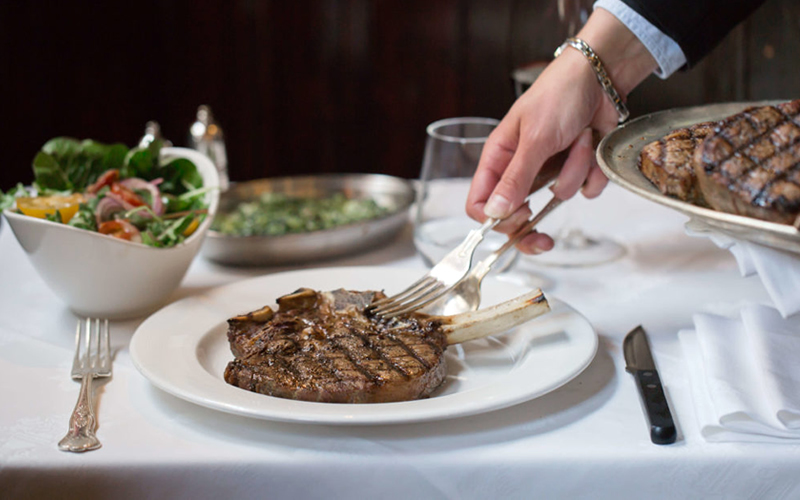 It’s pie and prime steaks at this Young’s pub and restaurant. A fantastic example of the humble but often poorly executed idea of taking pub staples by the scruff of the neck, dragging them through rigorous sourcing, well-groomed tartan carpets, and claret, and serving it up to a discerning Mayfair crowd. A pub by Tom Oldroyd that hit the ground running when he opened it – his own local, incidentally – back in the spring. Not actually in Richmond but Hackney, Oldroyd looks to perfect his (food’s) French accent, without forgetting the odd British four-letter word, including, ‘crab’ and ‘chip’, to preface ‘butty’ on the same line.